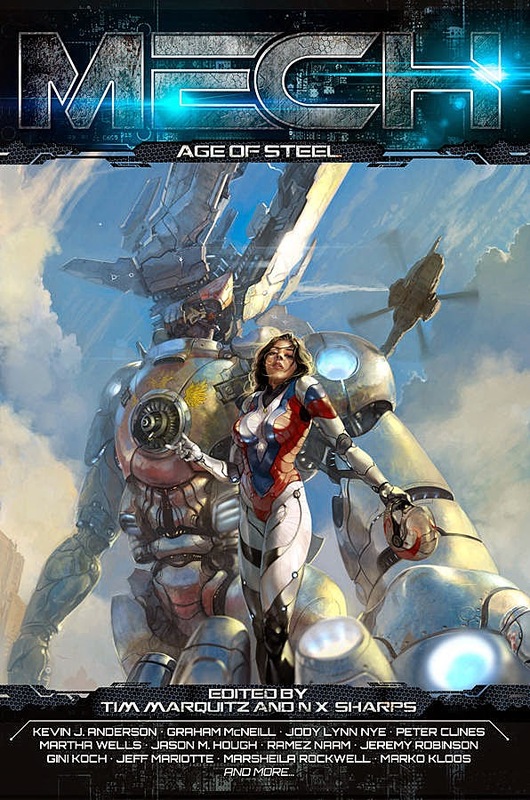 Mech: Age of Steel Kickstarter is now online! I’m a huge fan of mecha as my earlier article on the subject (available here) tells you but I don’t have much of an opportunity to write about it as the market is decidedly niche. People generally want to watch mecha on the television rather than read about it. At least, that was the case until Ragnarok Publications decided to take a dare and do this anthology as a pseudo-sequel to the wonderfully Pacific Rim-esque Kaiju: Age of Monsters (reviewed here). I’m pleased to say they’ve started up the Kickstarter and I’ve already donated to it. This particular anthology will contain stories by Kevin J. Anderson, James Swallow, Peter Clines, and other authors I absolutely love. I really think it’ll be worth donating to and I’ve absolutely adored all the previous Ragnarok anthologies (they’re the reason I submitted to them in the first place after all). So please check this Kickstarter out if you have the time.